1991 seems so long ago that the details of what took place so long ago have been erased from the minds of most people, but this is surely not the case with the pilots of a Boeing 727 flight from Barcelona to Madrid. The Iberia airliner was at an altitude of 30,000 feet when it encountered some unexpected and unwelcome company. An object, described by the flight crew as a metallic balloon with a black emblem of some sort, kept pace with the airliner for approximately three minutes before pulling away with explosive force, vanishing into the horizon. No less startling was the experience involving another airliner covering the Luanda (Angola) to Lisboa (Portugal). The crew of the TAAG (Angolan Airlines) craft was flying over the Sahara Desert when they became aware of an object shaped like "a chain of lights" whose size was far greater than that of their Boeing 707-200, one of five flown by the company. The object’s presence was confirmed by the on-board radar. Things weren't much better elsewhere in Europe. In April 1991, an Alitalia airliner flying between Milan and London almost collided with an unidentified flying object over Kent. The brownish, "projectile-shaped" object sped past the plane to the consternation of the pilot and copilot. Subsequent investigation discarded the possibility that a stray missile, a weather balloon or space debris could have been involved. This near-miss with the unknown brought to mind the tragic end of another Italian airliner: at 10:00 pm on the night of July 27, 1980, a DC-9 flying between Bologna and Palermo crashed and killed 81 passengers aboard it what would become known as the Ustica Tragedy. At the time, some Italian publications attributed the collision to the DC-9's proximity to a UFO prior to crashing, and even that the airliner exploded in mid-air. The Italian military denied everything, insisting that it had merely been an accident. According to the March 13, 1992 issue of Mexico's reputable El Universal newspaper, a sudden encounter with a UFO on March 6 of that year caused an airliner to become invisible. The staff-written article provides no flight number, but the Aeroméxico airliner allegedly departed from Mexico City at 11:30 p.m. enroute to Monterrey. The pilot dimmed the cabin lights and passenger began falling asleep for the short flight, until they suddenly found themselves staring into the night sky and the bright stars in the heavens above...as if the entire fuselage had been lifted away. "We were flying in space, seeing the skies and stars without the barrier of cabin walls, which were still there and detectable to the touch, but completely invisible," said a witness to this sudden phenomenon. "We could even see the pilots in the cabin, at the controls of an aircraft that none of us could see, only touch." More surprising is that panic did not spread throughout the aircraft: the startled passengers tried to make sense of the phenomenon until they suddenly became aware of a glowing object shaped like two "inverted bowls" stuck together flying alongside the aircraft. The newspaper account states that the broadcast media reported the disappearance of the Aeroméxico airliner from radar screens in both Monterrey and Mexico City for ten minutes, along with the corresponding gap in communications. Beginning with the “Stendek" affair in the 1960's - a case involving the disappearance of a British South American Airways plane in 1947, solved in recent years when the wreckage of the aircraft was found in an Andean valley - the UFO phenomenon has evinced considerable interest in commercial aviation and has even jeopardized the safety of some flights. Chile's El Mercurio newspaper ran an interesting story in its Friday 17, 2001 edition showing that this fascination with our means of passenger transportation has not been relegated to old cases. At 11:30 a.m., the crew of LAN Chile Flight 560 established visual contact with a shining ovoid object "of considerable size" which prompted the pilot to report it to the National Air Traffic Control Center in Santiago de Chile. Although civilian radars reported that the contact was not on their screens, the 5th Air Brigade in Cerro Moreno (Antofagasta) and the regional airport of Calama in northern Chile managed to track it. The event was confirmed by an airliner from the Avant carrier which had just taken off from the Calama airfield. Its crew was able to corroborate the information provided by LAN Chile 560, further noting that the object was motionless and within view up to ten minutes after the initial sighting. The military radar facility at Cerro Moreno placed the object 40 miles over the town of Mejillones and at an altitude of 60,000 feet, thus ruling out the possibility that the strange object could have been a weather balloon -- the classic "culprit" in these cases-- since the Cerro Moreno facility sent its weather balloons aloft every day in the morning. In January 1977, a Boeing 727 airliner belonging to Colombia's Avianca airline, piloted by Gustavo Ferreira, was approaching Ibagué, a community west of Bogotá, when the crew suddenly became aware of a strong white light. Believing that another airliner had strayed into their path, Captain Ferreira promptly radioed the air traffic controllers at Bogota International Airport. They assured him that they had picked up the intruder on their radar and were tracking it. There was little that the Avianca crew could do as the intense light source made a beeline toward their jet. In a matter of seconds, the mysterious light had stopped in mid-air. Passengers and crew were treated to the sight of an unidentified flying object three times the size of the airliner they were in. Captain Ferreira flashed his landing lights at the vehicle, which responded by changing color from white to red. A second flash of the landing lights prompted the UFO to turn green. Three minutes later, the strange object sped off out of sight. The airport traffic controllers estimated the UFO's speed to be some 20,000 miles an hour at a 99-degree angle before vanishing off their screens. A flurry of UFO sightings filled the summer months of 1977: on July 6 of that year, residents of the community of El Socorro witnessed the flight of a six UFO "squadron" across the night skies over their town. The UFOs flew fast and low over El Socorro amid heavy rainfall, giving off bursts of red and white light. On July 20, shortly after 4 p.m., attorney Carlos Rangel, who was looking out the window of a doctors' office in downtown Bogotá, saw five UFOs engaging in maneuvers over the city. He promptly drew the attention of the nurses in the office as well as that of people walking on the street. The number of onlookers staring skyward, including those who got out of their cars to take a better look, caused a traffic jam that lasted well over an hour. 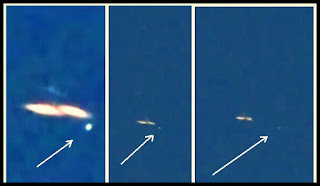 Bogotá's El Liberal newspaper ran a photo taken by a staff photographer, depicting one of the UFOs in question. The photograph was accompanied by eyewitness testimony. A landmark book, Los OVNIS y la Aviación Mexicana - UFOs and Mexican Aviation- by Carlos Guzmán Rojas and Alfonso Salazar Mendoza (whose reports have been featured regularly on INEXPLICATA for a number of years) includes an abstract from an article in the La Prensa newspaper (June 21, 1992), disclosing UFO sightings made by airline pilots during their flights. A senior aviator, Captain Jorge Lara, openly admitted that he and others had shared UFO sightings over the course of the years, but that the accepted response among those in the cockpit was simply to exchange looks and say: "We didn't see a thing," being mindful of the negative and possibly career-ending repercussions that such an admission could entail. Captain Lara went on to recall a sighting by Capt. López Betanzos, whose airliner was intercepted as it was on final approach to Acapulco, an event that caused a stir in aeronautical circles. Lara himself went on to discuss sightings of his own over the Sonora Desert. Heading back to Mexico City from Hermosillo, Sonora, some passengers informed the crew that they had witnessed "a luminous object descending from the sky and landing on a nearby mountain". Lara and his officers did their best to ascertain the true nature of the light, but the object flew off the mountain with the same burst of speed that had brought it there initially, vanishing from sight (another veteran pilot, Capt. Alex Franz, has spoken openly of his own sightings over Mexico's Altar Desert). Seeing these objects had also become commonplace for flights out of Mexico City to Europe over the Atlantic Ocean (the Mexico-Miami-Madrid route). 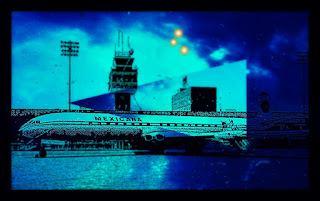 Captain Lara described situations in which Aeroméxico DC-8s and DC-10s had seen luminous objects traveling at prodigious speeds and which could not be classified as either satellites or meteors. Nervous communication between air traffic controllers and pilots had also been overheard, singling out a particular case in which the pilot of a Braniff airliner advised the Idlewild Tower at John F. Kennedy Airport that a huge fireball was flying in a direction opposite to that of the jet, coming very close but without suffering any harm. One can well imagine the penalties that a professional responsible for safety of hundreds of passengers and a multi-million dollar aircraft might face if he or she admits to seeing "flying saucers". Fortunately the silence imposed on airliner crews is now being broken as many pilots retire and no longer face being grounded for good. Juan Lorenzo Torres is one of them. On the fourth of November, 1968, at 18:23 hours, Torres was flying a Caravelle 6-R along the London to Alicante route (Iberia Flight 249). This routine flight proceeded normally until the Barcelona tower ordered the aircraft to descend from an altitude of thirty one thousand feet to twenty eight thousand feet, ostensibly to compensate for the transit of another aircraft on the same corridor. "Well, I had already ordered dinner and the trays were in the cabin," reminisces Captain Torres, "but at that altitude we were shaving the clouds, which produce a slight though uncomfortable turbulence. Having one's dinner that way was thoroughly disagreeable. I asked my co pilot to visually monitor if the opposing traffic could be seen, in order that we could return to our proper level to have a peaceful dinner." stuck to my plane's nose, and I never realized it!" Captain Torres' remarks go to show that unidentified flying objects have always shown an interest for our passenger airliners, and some have humorously suggested that the smaller unidentified objects may be attracted to jumbo jets like baby whales to surface ships in a misguided imprinting event. Nor was Captain Torres experience one-of-a-kind. On January 6, 1995 a Boeing 737 carrying sixty passengers and piloted by Captain Roger Wills and flying between the northern Italian city of Milan and Manchester had a mid-air encounter with the unknown that almost ended in disaster. At 06:48 hours, as the airliner began its final descent into the Manchester area, it came across a triangular object with small white lights along its sides and a black band surrounding it. Wills and his copilot, Mark Stuart, confirmed that according to the control tower they were the only object in the air at the time. Yet the unidentified would not make way for the swiftly oncoming airliner. A perilous nosedive was all that saved the 737 from a certain collision. The flight crew would later state that UFO appeared not to have the slightest intention of deviating from its course, and eventually flew under the airliner's starboard wing. Few cases in Spanish ufology have achieved the level of angry pro and con discourse that characterizes the so-called Manises Incident, in which a Mirage F-1 fighter pursued a UFO for an extended period of time with full authorization from ground control. The military component of the case often overshadows the civilian aspect, which is hair-raising enough, as we shall see. On November 11, 1979, Captain Javier Lerdo de Tejada, a senior pilot with eight thousand hours of flight time under his belt, was flying a Super Caravelle belonging to the TAE airline on a flight between the Austrian city of Salzburg and the Canary Islands, where over a hundred passengers hoped to spend a sunny vacation. After having been aloft for less than half an hour, the Super Caravelle began to pick up an odd distress call on the emergency band, being informed by ground control that it emanated from a point 40 miles northwest of the coastal city of Valencia. Captain Tejada remarked that it was as if the party sending out the distress signal had no knowledge whatsoever of Morse code. “Onlookers at Lencero Airport near Jalapa witnessed a strange formation of UFOs which flew by the sun for a number of hours on October 31. “They were apparently filmed by a cameraman from Universidad Veracruzana. In the words of the airport personnel, the phenomenon occurred during three successive days; pilots testified that the objects were oval in shape and made abrupt turns that cannot be made by an airplane. Carlos Kauffman, senior pilot at Lencero, added that he had not witnessed the phenomenon himself, but had heard comments about it among the personnel of his facility. The video taken by the U.V. cameraman was forwarded to Jaime Maussán's Copérnico-Galileo Group for public attention (the cameraman, Bernabé Castillo, has a B.A. in Visual Communications and works as a cameraman for the Audiovisual Dept. at the University. “During an interview on November 3, Kauffman pointed out that "it's a hobby among airline pilots and ground personnel to look at a UFO that remains stationary at 12,000 feet above the runway." He added that a woman form Torre Animas (near Lencero) called the airport nearly 40 times to advise them that she could see a "V" shaped formation of objects, which remained stationary for a long time. However, no information was ever given to the caller since the nature of the phenomenon was never determined. Both Kauffman and Sánchez Camerino, another pilot, considered themselves "fans of this sort of event." As new information begins to pour out of the former Soviet Union, more cases can be added to the list of commercial planes interfered with by UFOs. The March, 1993 issue of Aura magazine, published by mathematician Alexandr Avshamulov, contains a never-seen-before transcript of a radio exchange between civilian pilots and flight controllers in the Black Sea resort of Sochi on July 26, 1989. The crews of three separate flights reported seeing two objects "one oblong, the other cylindrical" some 50 miles away from their positions. Said transcript was one of a number of documents released by the KGB to independent UFO periodicals. The cache of information included three photos of a commercial Ilyushin 96/300 jet on a runway, shadowed by "unknown objects" resembling fireballs. "A thorough examination [has] established the authenticity of the prints," reads the Aura caption. The reasons for this fascination that the phenomenon holds for our commercial carriers isn't clear, but there is speculation aplenty. If extraterrestrial, what better opportunity for alien zoologists to obtain a fair sampling of human variety than by the capture of an aircraft? To the alien military specialist, a state-of-the-art airliner would provide a quick assessment of our civilization's technological capability. If UFOs are creatures of our planet's upper atmosphere, as has been suggested by many authors since the '70's, perhaps their maneuvers could be interpreted as resembling the playful antics of dolphins with our own sea vessels. On certain occasions, however, the phenomenon has demonstrated a slightly paranormal, plastic quality, as seen in the 1985 case which involved an Aeroflot airline on its way from the Caucasus to the Baltic Sea: the UFO tailed the passenger jet for 800 miles, changing its geometry several times as it flew--from a cone to a double cone, and finally into a mammoth needle-nosed aircraft -- a harmless enough activity, but nevertheless distressing to the passengers and crew. An increase in volcanic activity is directly proportional to an increase in UFO sightings. We are dealing with anomalous objects shaped like disks, cigars or spheres flying over the volcanos without suffering any ill effects, as they appear to be impervious to the high temperature in the crater or the ash it gives up. According to experts, an aircraft would plummet in a matter of minutes when it comes into contact with these elements, as its moving parts would become worn down. Thus, we are clearly faced with a very advanced technology. Various researchers have the videos and photographs taken by the public at large, who have immediately shared any oddities on social media. Cameras placed in the vicinity of the Popocatepetl volcano monitor the colossal natural formation 24 hours a day, 365 days a year. They have shown strange objects traveling along a specific heading and exact altitude, leading ufologists to believe that their goal may be to monitor our planet's natural activity. 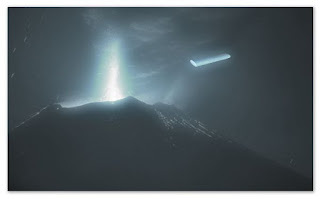 Contactees believe that "extraterrestrials" are engaged in a prodigious effort to place a "plasma-based technology" within volcanic cores to keep them from erupting. It should be stressed that putative aliens are not under any obligation to help us, and if they do so, what is it they want in return? A matter we should always keep in sight. These stories are confirmed by eyewitness accounts from rescue workers, who claim having seen slender humanoid creatures over 2 meters tall, in the upper reaches of the "Popo", wearing no personal protection equipment and with heels ending in a sort of spike that keeps them from slipping on the ice. What strikes rescue workers the most is how these creatures are able to cover very difficult terrain in 15 minutes, while it takes humans up to two hours to do the same. July 11  marked the 25th anniversary of the start of the Puebla UFO Wave, when residents of Atlixco gathered every weekend at Casita Blanca - a structure that regulated the flow of water stemming from the volcanos - to view the strange lights flying overhead. The witnesses - some of whom are still alive - remarked that these objects were heading toward Popocatepetl, but at the time no one linked UFOs with the volcano's activity. 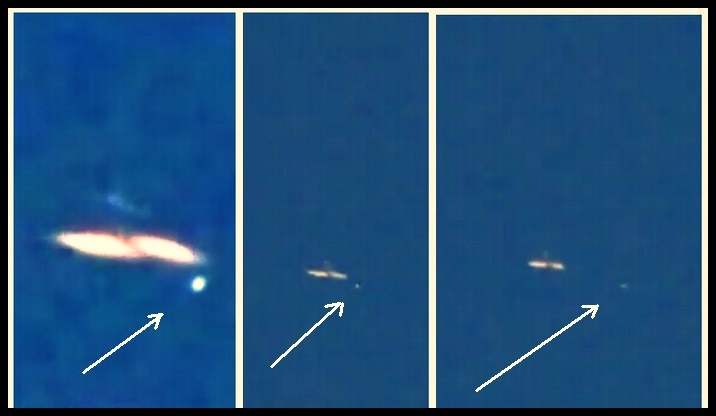 Researcher Carlos Clemente of the Tercer Milenio program has stated that this UFO wave "was a milestone in UFO research, since with the advent of the modern age, video technology was in the hands of the citizenry and the sightings were not relegated to mere anecdotes." To celebrate this first quarter century, the Vigilantes del Cielo organization will hold the La Ruta Ovni skywatch on August 6 & 7. This group managed to document most of Mexico's UFO activity. Paulino López, a contactee, will also be present at the event.